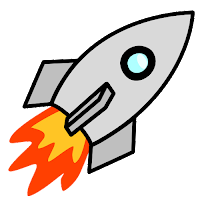 "Meeting Infinity," edited by Jonathan Strahan, published on December 1, 2015 by Solaris. 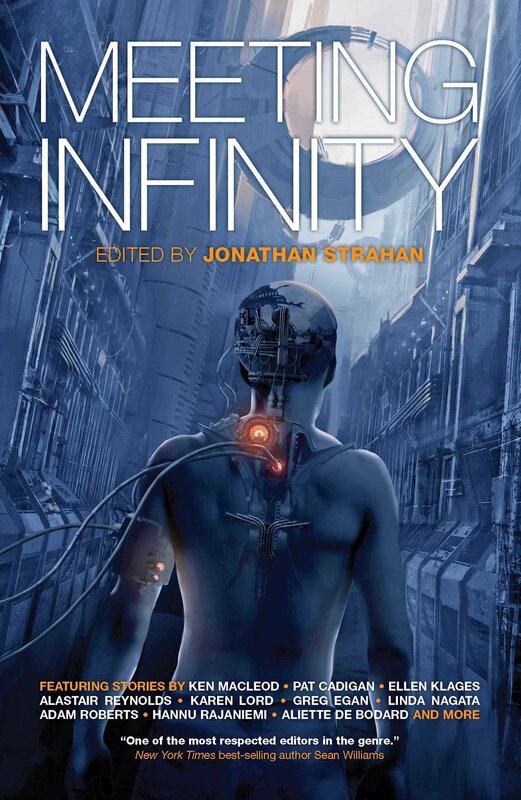 SF Signal ran an interview with Jonathan Strahan in which he talks about the Infinity Project in general, and explains that Meeting Infinity "looks at how we as human beings will look to change ourselves to best fit into the futures we're likely to find." A fifth volume, "Bridging Infinity," will deal with giant engineering projects and is likely to be published in 2016. Out of 16 stories, one is 5-stars and four are 4-stars, which is way above average (more than twice what we'd expect). Oddly, six are 2-stars, which is much worse than average. Read selectively, though, this is an excellent anthology. In Blue Lilly's Wake, by Aliette de Bodard, tells the story of two women carrying guilt over things they did during a plague that devastated the worlds of her Dai-Viet empire eleven years ago. It's rich, complex, well-organized, and packs an emotional punch. Worth five stars. The four-star stories are also excellent reads, albeit not as moving at "In Blue Lilly's Wake." Desert Lexicon, by Benjanun Sriduangkaew describes the suffering of a group of prisoners who were offered amnesty if they'd agree to become cyborgs and spend 90 days destroying out-of-control war machines left over from a previous war. The characters struggle to trust each other because their numbers have been dwindling. Memento Mori, by Madeline Ashby takes place in a world where people move to new bodies when they get tired of the old ones. The narrator is unusual in that she always starts with an empty mind--for whatever reason, she doesn't care to remember her past. But something from her past apparently remembers her. My Last Bringback, by John Barnes introduces us to Layla, who has pioneered a technique for helping Alzheimer's sufferers recover their memories. Now she applies it to herself, which may not be such a great idea. Outsider, by An Owomoyela. The planet Se was colonized by a generation ship centuries ago, and there has been no contact with Earth in a long time when a ship from Earth appears unexpectedly. Mota, a low-caste technician, gets drafted to help because studying Earth has been an obsession of hers, and she finds herself involved in things that are much bigger than what she'd bargained for. As ever, the three-star stories range from enjoyable to endurable, generally suffering from excess material and/or overly simple plots. Do you have the exact word counts? We have to estimate from the location numbers that Kindle provides, but I didn't expect them to be off by that much. This sounds great! I'll definitely be reading it. Thanks for the review!